Depending on your location, the end of summer or the falling of leaves in the autumn are good indicators that winter is close. Mulching in the Winter is a great way to protect your plants while they’re dormant. How to put mulch around plants and when? There are no right answers. It depends on several factors, including your soil type, amount of rainfall, type of mulch, and how weedy the ground is. For most mulches and soils, start with a layer 3-4 inches deep. 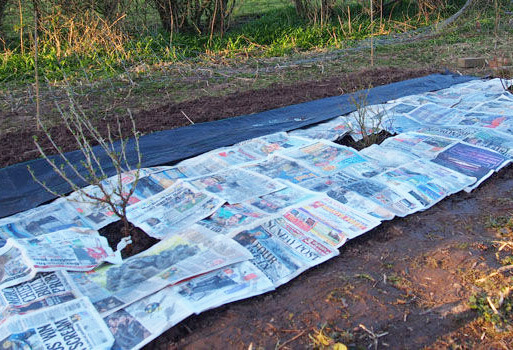 Use newspaper as a barrier to keep weeds at bay. Place mulch around the base to protect the trunk, especially if you have younger trees, Day says. Mulch rings makes a protective area to reduce threats from other plants and keep mowers away. Placing mulch can be a labor intensive and time consuming project. JC Landscaping LLC can help keep your landscape and garden beds looking sharp with fresh mulch.